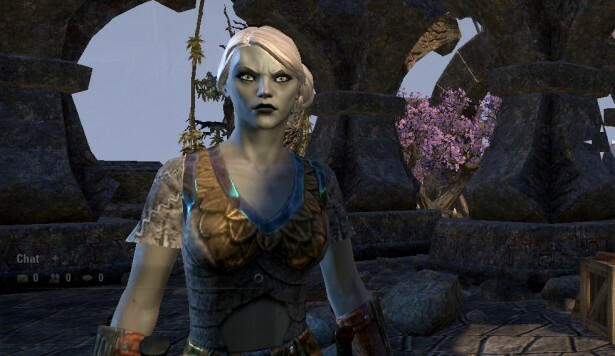 Home VgamerZ OpinionZ The Elder Scrolls Online: Why the Character Animations Look So Strange? 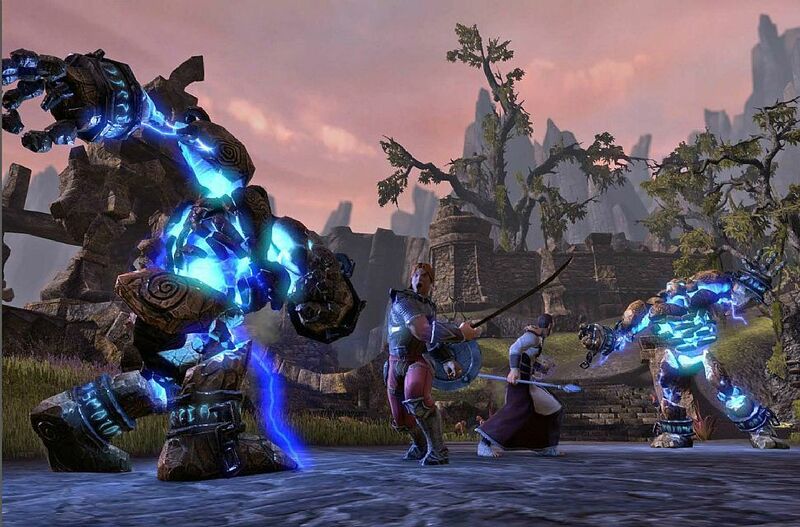 The Elder Scrolls Online: Why the Character Animations Look So Strange? I finally got the chance to try The Elder Scrolls Online (ESO) and one of the first things I’ve noticed was the character animation weirdness. A MMO with gorgeous graphics and an innovative combat system featuring animations that don’t feel right – it doesn’t make much sense. So, I wondered why ESO’s character animations feel so wrong. And the answer relies on two simple words – realism and naturalness. Characters don’t move naturally and even the stunning detail quality can’t save them from looking fake, from a dynamic perspective. This is a well-known issue with older games, especially RPGs. And that’s when I remembered where I’ve seen very similar animations. In fact, after watching a few walkthrough videos I got the feeling that ESO imported some of Dragon Age Origins (DA:O) animations. Running, sprinting and even attacking movements look exactly like Dragon Age’s. This wouldn’t be a surprise if ESO had been released a few years ago. After all, most RPG games featured similar animations around 5-10 years in the past. However, we’re in 2014 and having a game that has character animations which resemble a game from five years ago, that’s quite shameful, I would say. But enough of pure opinion, let’s jump to facts. Analysis: Why ESO’s Character Animations Look Weird? I starting by pointing out the obvious, the animations are simply unrealistic and unnatural. Why? Well, as you can see in the gif image, the character moves like a robot – the torso remains steady, the arms barely move and all the work is focused on the legs. Now, we know this is not the real mechanism for running or sprinting. When we run, all our body muscles move according to speed, so if you sprint, there’s no way that your torso will remain still. Therefore, why it looks so weird – the character fluidness is just not there. Bending over is the most common animation in ESO and DA:O. The second strange thing about the animations is the fact that characters bend a lot. My assassin rogue had her back curved all the time while in combat mode, which is quite pathetic. Why would a rogue need to bend, unless for defensive purposes? This detail looks even more senseless with the mage class… Because, mages bend just to cast a normal hit. Just as it used to happen in DA:O. I spent hours and hours watching Morrigan bending her back and legs while casting any kind of spell on enemies. I never understood that logic, I just assumed it was all about programming limitations. But now, with complex technologies able to design dynamic and interactive skeletons, I can just assume it’s a designing problem. This is the only “animation” I can get from my character if I remain inactive for several minutes. Acting lively is also something that ESO characters lack. Other MMOs like Guild Wars 2 and Rift, feature a realistic system where characters pretend to be alive by interacting with the world around them, little things like expressing boredom or looking at other characters do make a difference. On the other hand, ESO displays a dull and static system. In this upcoming world, characters simply don’t connect with anything, they remain steady while immobile and the only actions are blinking and breathing. I acknowledge that living as a warrior is no easy task but that’s no excuse to implement robotic behaviors instead of human ones. I really thought we had surpassed that gaming phase, where characters were a bit like wooden stick toys manipulated by a few dynamic layers. The software does exist and other MMOs have already used them to create a more realistic and accurate system, so my question is: Why did Bethesda/Zenimax choose to use an overpast technology, especially when they had access to a 200M budget?